14. In connection with land acquisition proceeding whenever the provision of Section 17 and its various sub-sections including Section 17(4) is used in the name of taking urgent or emergent action and the right of hearing of the land holder under Section 5A is dispensed with, the Court is called upon to consider a few fundamentals in the exercise of such powers. 15. Admittedly, the Land Acquisition Act, a pre-Constitutional legislation of colonial vintage is a drastic law, being expropriatory in nature as it confers on the State a power which affects person's property right. Even though right to property is no longer fundamental and was never a natural right, and is acquired on a concession by the State, it has to be accepted that without right to some property, other rights become illusory. This Court is considering these questions, especially, in the context of some recent trends in land acquisition. This Court is of the opinion that the concept of public purpose in land acquisition has to be viewed from an angle which is consistent with the concept of a welfare State. 16. The concept of public purpose cannot remain static for all time to come. The concept, even though sought to be defined under Section 3(f) of the Act, is not capable of any precise definition. The said definition, having suffered several amendments, has assumed the character of an inclusive one. It must be accepted that in construing public purpose, a broad and overall view has to be taken and the focus must be on ensuring maximum benefit to the largest number of people. Any attempt by the State to acquire land by promoting a public purpose to benefit a particular group of people or to serve any particular interest at the cost of the interest of a large section of people especially of the common people defeats the very concept of public purpose. Even though the concept of public purpose was introduced by pre- Constitutional legislation, its application must be consistent with the constitutional ethos and especially the chapter under Fundamental Rights and also the Directive Principles. 17. In construing the concept of public purpose, the mandate of Article 13 of the Constitution that any pre-constitutional law cannot in any way take away or abridge rights conferred under Part-III must be kept in mind. By judicial interpretation the contents of these Part III rights are constantly expanded. The meaning of public purpose in acquisition of land must be judged on the touchstone of this expanded view of Part-III rights. The open-ended nature of our Constitution needs a harmonious reconciliation between various competing principles and the overhanging shadows of socio-economic reality in this country. "......It is true that Judges are constitutional invigilators and statutory interpreters; but they are also responsive and responsible to Part IV of the Constitution being one of the trinity of the nation's appointed instrumentalities in the transformation of the socio- economic order. The judiciary, in its sphere, shares the revolutionary purpose of the constitutional order, and when called upon to decode social legislation must be animated by a goal-oriented approach. This is part of the dynamics of statutory interpretation in the developing countries so that courts are not converted into rescue shelters for those who seek to defeat agrarian justice by cute transactions of many manifestations now so familiar in the country and illustrated by the several cases under appeal. This caveat has become necessary because the judiciary is not a mere umpire, as some assume, but an activist catalyst in the constitutional scheme." 19. In other words public purpose must be viewed through the prism of Constitutional values as stated above. 20. The aforesaid principles in our jurisprudence compel this Court to construe any expropriartory legislation like the Land Acquisition Act very strictly. 21. The judicial pronouncements on this aspect are numerous, only a few of them may be noted here. 22. In DLF Qutab Enclave Complex Educational Charitable Trust vs. State of Haryana and Ors. - (2003) 5 SCC 622, this Court construed the statute on Town Planning Law and held "Expropriatory statute, as is well known, must be strictly construed." (See para 41 page 635). 23. The same principle has been reiterated subsequently by a three-Judge Bench of this Court in State of Maharashtra and Anr. vs. B.E. Billimoria and Ors. - (2003) 7 SCC 336 in the context of ceiling law. (See para 22 at page 347 of the report). 24. These principles again found support in the decision of this Court in Chairman, Indore Vikas Pradhikaran vs. Pure Industrial Coke and Chemicals Ltd. and Ors. - (2007) 8 SCC 705, wherein this Court construed the status of a person's right to property after deletion of Article 19(1)(f) from Part III. By referring to various international covenants, namely, the Declaration of Human and Civic Rights, this Court held that even though right to property has ceased to be a fundamental right but it would however be given an express recognition as a legal right and also as a human right . 26. In the background of the aforesaid discussion, this Court proceeds to examine the scope of a person's right under Section 5A of the Act. 27. Initially, Section 5A was not there in the Land Acquisition Act, 1894 but the same was inserted long ago by the Land Acquisition (Amendment) Act, 1923 vide Section 3 of Act 38 of 1923. "The Land Acquisition Act I of 1894 does not provide that persons having an interest in land which it is proposed to acquire, shall have the right of objecting to such acquisition; nor is Government bound to enquire into and consider any objections that may reach them. The object of this Bill is to provide that a Local Government shall not declare, under section 6 of the Act, that any land is needed for a public purpose unless time has been allowed after the notification under section 4 for persons interested in the land to put in objections and for such objections to be considered by the Local Government." 30. The said amendment was assented to by the Governor General on 5th August, 1923 and came into force on 1st January, 1924. 31. The importance and scheme of Section 5A was construed by this Court in several cases. As early as in 1964, this Court in Nandeshwar Prasad and Ors. vs. U.P. Government and Ors. Etc. - AIR 1964 SC 1217 speaking through Justice K.N. Wanchoo (as His Lordship then was) held "...The right to file objections under Section 5A is a substantial right when a person's property is being threatened with acquisition and we cannot accept that that right can be taken away as if by a side-wind....." In that case the Court was considering the importance of rights under Section 5A vis-`-vis Section 17(1) and Section 17(1)(A) of the Act. (See para 13 at page 1222 of the report). 32. The same view has been reiterated by another three-Judge Bench decision of this Court in Munshi Singh and Ors. vs. Union of India - (1973) 2 SCC 337. In para 7 of the report this Court held that Section 5A embodies a very just and wholesome principle of giving proper and reasonable opportunity to a land loser of persuading the authorities that his property should not be acquired. This Court made it clear that declaration under Section 6 has to be made only after the appropriate Government is satisfied on a consideration of the report made by the Collector under Section 5A. The Court, however, made it clear that only in a case of real urgency the provision of Section 5A can be dispensed with (See para 7 page 342 of the report). 33. 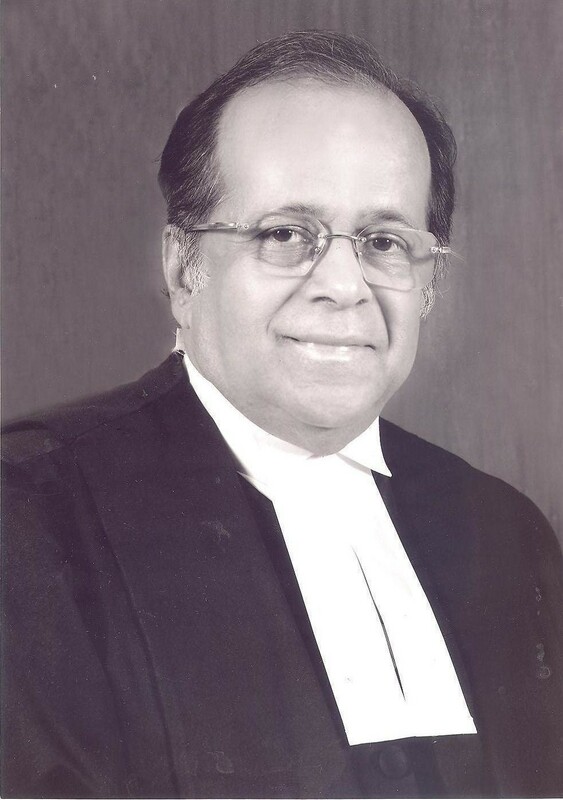 In Hindustan Petroleum Corporation Limited vs. Darius Shahpur Chennai and ors., (2005) 7 SCC 627, this Court held that the right which is conferred under Section 5A has to be read considering the provisions of Article 300-A of the Constitution and, so construed, the right under Section 5A should be interpreted as being akin to a Fundamental Right. This Court held that the same being the legal position, the procedures which have been laid down for depriving a person of the said right must be strictly complied with. "41. Whereas sub-section (1) of Section 17 deals with cases of "urgency", sub-section (2) of the said section covers cases of "sudden change in the channel of any navigable river or other unforeseen emergency". But even in such cases i.e. cases of "urgency" or "unforeseen emergency", enquiry contemplated by Section 5-A cannot ipso facto be dispensed with which is clear from sub-section (4) of Section 17 of the Act." 35. This Court, therefore, held that once a case is covered under sub-section (1) or (2) of Section 17, sub-section (4) of Section 17 would not necessarily apply. "54. In our opinion, therefore, the contention of learned counsel for the respondent authorities is not well founded and cannot be upheld that once a case is covered by sub- sections (1) or (2) of Section 17 of the Act, sub-section (4) of Section 17 would necessarily apply and there is no question of holding inquiry or hearing objections under Section 5-A of the Act. Acceptance of such contention or upholding of this argument will make sub- section (4) of Section 17 totally otiose, redundant and nugatory." 36. This Court also held that in view of the ratio in Union of India vs. Mukesh Hans, (2004) 8 SCC 14, sub-section (4) of Section 17 cannot be pressed into service by officers who are negligent and lethargic in initiating acquisition proceedings. Thanks for the blog here.